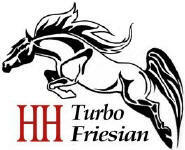 The Friesian Heritage Horse & Sporthorse Int’l registry (HH) has a variety of different books, for purebred and crossbred Friesians, that have been created due to popular request. This can help prevent the formation of multiple, small, ineffective, splinter registries. Keeping all of the data and DNA under one UNITED registry is beneficial to all. We would like to add photos to these pages. To read more about the book you are interested in click the logo! For horses who do not fit criteria above, the Friesian Heritage Horse offers a number of other registration books, for horses with a minimum of 25% documented Friesian heritage. Please visit the General Rules page to see a full list of the HH registration books.